It’s a dream of poker players everywhere to compete in live tournaments where multi-million dollar prize pools are up for grabs. Unfortunately it’s hard for small and mid-stakes players to do this because big events inevitably mean big buy-ins. And even if you just want to play for prize packages online, this can also get pricey for the larger land-based tournaments. So if you’re looking for a more realistic live poker tournament opportunity, you should consider the Battle of Malta event. 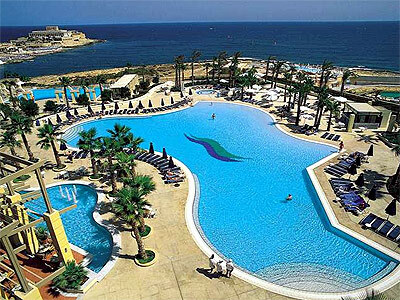 This tourney will be held at the Protomaso Casino in St. Julian, Malta from November 22nd-25th, 2012, and a €150,000 Main Event prize pool is ready to the taking. The first Battle of Malta qualifier happens on July 22nd, 2012 at 5pm GMT, and you can expect to see more qualifiers throughout the summer. One more point worth making about the prize package deals is that they’ll give you an opportunity to hang out on the beautiful coast of Malta – where incredible beach scenery and nightlife awaits! Poker players who sign up at Cake through RakeTheRake get a 200% up to $2,000 sign-up bonus along with a top 36% rakeback deal. Whether you’re going to take part in any of the online qualifiers for the Battle of Malta, the Cake Poker rakeback deal is indispensable anytime you player poker, because you’ll earn cash whether you win or lose, every time you play.